ROSA LEE WRIGHT was born on July 12, 1936 in Montezuma, Georgia to the late Pearl (Williams) Solomon and Oscar Solomon. She departed this life and went home to everlasting rest on December 3, 2018. Rosa received her education at the historic Flint River Farms School. At that time, the Flint River Farms School was better than any in the county for African American children and set new standards for education. At a young age Rosa helped raise her younger siblings and was a mother figure to them. In her twenties, Rosa moved to Baltimore, Maryland, where she was a dedicated employee of several nursing homes. She had a soft spot for those in true need and was always willing to help. Rosa accepted Jesus Christ as her Lord and Savior and became a devoted member of Mt. Pleasant Baptist Church. She had a strong unwavering faith and her favorite scripture was Psalm 23. As a mother to three sons, Dennis, Bernard and Alfred, Rosa instilled the foundation of the Word of God in them. Even when she had to work, she entrusted friends to take her sons to church. On December 18, 1981, Rosa married her loving husband, Maurice Richard Wright. Throughout their union, they had a special and unbreakable bond. Everyone around them knew that despite anything they were two peas in a pod! Rosa was known for her meticulous style no matter where she went. Although she loved and always wore a hat, underneath her hair was typically in lovely curls. Rosa enjoyed cooking, eating crabs, walking and watching religious television programs. Rosa is preceded in death by her brother, Robert L. Killings and sister, Leila Cobb (Milton). 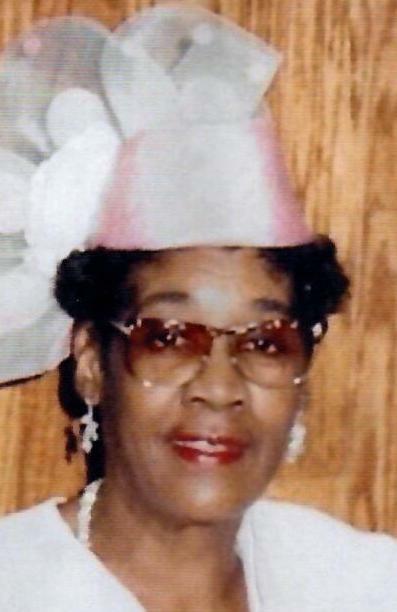 Rosa leaves to cherish her memory: her husband of 36 years, Maurice Richard Wright; devoted sons, Dennis Ford (Letisha), Bernard Ford (Michelle), Alfred Ford; grand-children, Carrera Ford, Tiarra Ford; sisters, Annie Pearl Bailey (C.B. ), Hattie Mae Harvey (Joseph), Neva Saunders (Robert L. ), Mary-Kate Taylor (Alonzo), brother, David Lee "Peter" Solomon, in addition, Rosa leaves a host of loving nieces, nephews, great-nieces, great nephews, cousins and friends.